New playlist (and new look). First of all, I have a new Spotify playlist over on the right. It's about half stuff I've reviewed here lately and half stuff I haven't, so of note from the latter are fine new singles from Reno Bo and Shake Some Action! as well as tracks from Kyf Brewer, Pop Cult, Matt Joe Gow and Kevin Devine, whose full-length albums I would recommend checking out. And more obviously, I changed the template on the blog. Nothing fancy (one of Blogger's generic options), but I grew tired of the old look (as I'm sure you have), and now it looks a little less 2006 and a little more 2009 at least. 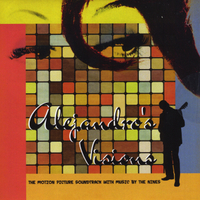 The Nines-Alejandro's Visions And now for something completely different. OK maybe not completely different, but Steve Eggers & Co. (with help from The Foreign Films' Bill Majoros) have returned in the space of a year with the "soundtrack" to Alejandro's Visions, a fictional 50s/early 60s movie that has allowed them to branch into 50s rock-and-roll, doo-wop, early Beach Boys, and other sounds that were the rage among the cool kids of that era. Additionally, many of the songs open with radio jingles or dialogue from the "movie" to add to the mise-en-scène. So from the pre-rock era "I Have Found You" and "My Sweet Marie" to the Beach Boys-ish "Escape from a Small Town" to the Phil Spector-influenced "Operator (Coming Home to You)" the album is a tour-de-force of early rock era pop styles. Throw in a couple of classic Eggers ballads in "And Suddenly" and "When Our Love Was in Bloom" and you have one of 2016's most interesting, if not best, releases. 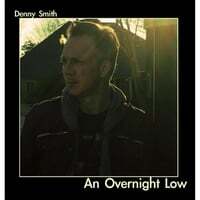 Denny Smith-An Overnight Low. The frontman of The Great Affairs and fORMER finally put his own name on the cover with his solo debut. Unlike the harder-edged pop of fORMER, his solo excursion is more a piece with his other band; in other words, classic mid-tempo pop/rock that's radio-ready (90s radio that is). "Silver Lining" opens the album in fine fashion with just the right dose of melancholy to go along with a winning melody, while the more uptempo "Hard Stop" finds the golden mean between Butch Walker and The Gin Blossoms. "All in the Livin'" is an upbeat, acoustic number that's quite ingratiating, and the power ballad "Missing You" is another delight. Smith isn't going to reinvent the wheel, but that doesn't mean the ride isn't still smooth. Preston Cochran-Sunshine EP. 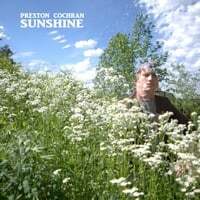 Preston Cochran's Sunshine is one of the best EPs of 2016, but I have to dock him points for not releasing this until the fall, so what could have been the soundtrack of the summer will instead have to brighten your day as the leaves fall and the temperatures drop. As its name implies, the title track is a jangly delight of 12-string guitars, a pretty melody and a catchy chorus, while the buoyant "Superstars" does nothing to kill the buzz of its predecessor track. Elsewhere "Ocean Drifting" boasts a Beatlesque sheen and the carefree "Sunday Poetry" captures the sunny, pastoral vibe of the album cover.